Dr. Benjamin Hornstein leads our team of artists. He completed a general practice residency in 1986 and has been in private practice ever since. However, Dr. Hornstein doesn’t just “practice” dentistry; he perfects it. In fact, his masterpieces change people’s lives. He has studied at the prestigious Las Vegas Institute for Advanced Dental Studies (LVI), focusing on posterior and anterior aesthetics, full-mouth reconstruction, and neuromuscular occlusion. 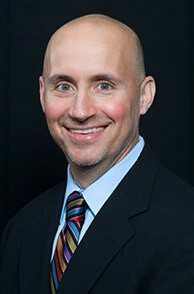 Dr. Hornstein is also a member of the American Dental Association (ADA), Ohio Dental Association (ODA) and The Greater Cleveland Dental Association. Dr. Hornstein has quite a bit of experience in dentistry. He has completed over 40,000 white, bonded restorations since he has entered into the practice. His technical expertise is enhanced by his innate artistic talent and the act of creating beautiful smiles from even the most complex clinical cases. In addition to his skills in aesthetic restorations, his experience also includes nearly all other areas of dentistry, including pediatric, periodontal (gum disease treatment), teeth whitening, smile enhancements, dental reconstruction, and neuromuscular therapies. 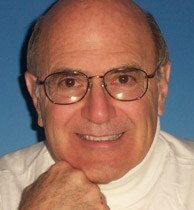 Dr. Hornstein avidly shares his skills in advanced dentistry with other dentists from around the world by instructing them in different courses. Dr. Gray established his dental practice, now currently The Center for Advanced Dentistry, at the Southgate Medical Arts Building in 1957. He practiced modern, preventative dentistry and provided quality dental care. He was active in Maple Heights Rotary, the Cleveland Dental Society, Alpha Omega Dental Fraternity, and the Ohio Dental Association. Dr. Gray frequently donated his time at the Free Clinic to provide dental care for their clients.